The first Juvenile Court in the State of Ohio was established in Cuyahoga County in 1902. Not until 1909 did Belmont County establish its Juvenile Court under the direction of the Probate Judge, John C. Nichols. Prior to the creation of the Juvenile Court, the Probate Court would handle matters involving wayward youths under the heading of “Juvenile Disorderly Person” on the Probate Court journal. Based upon the population of Belmont County, the Probate Judge also serves as the Juvenile Judge. The Juvenile Court generally has jurisdiction over all matters involving abused, neglected, or dependent children; unruly and delinquent children; issues of parentage, custody, child support and truancy. The Belmont County Courthouse built in 1886 remains as the location of the Probate and Juvenile Court today. 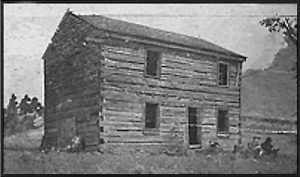 The original log structure standing two stories was built in 1805. The second courthouse built on the same location was made of brick in 1815 and served the county until 1885.